The Wasp WWS800 Wireless Bar Code Reader gives you the freedom to roam. The WWS800 uses Bluetooth technology, which allows you to scan bar codes and transmit the data upwards of 160 feet depending on the environment. It can scan bar codes from 1 to 10 inches with aggressive CCD scan engine. The WWS800 is ideal for warehouse, factory floor, field service and retail environments. 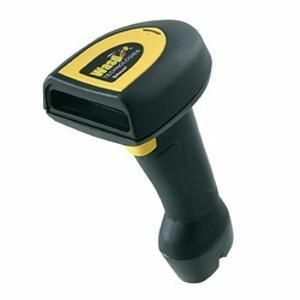 The Wasp WWS800 wireless bar code reader supports Microsoft Windows, Microsoft NT, DOS and Macintosh applications.